I very much like this – ‘duchthas, the Gaelic word that means something like “the sense of belonging in a place” ‘ – it’s a word I wasn’t familiar with before. I guess that’s a large part of what I’m trying to convey in the book, the way that hedges form part of our (or my) sense of belonging in Britain. (Which could be described as “Britishness” though I’m not sure that’s a coherent concept). Hedges aren’t only characteristic of the countryside and the way in which the land has been divided and used. They also map out towns and cities, firstly because they surround so many gardens, and secondly because urban development often followed the old field patterns, as the fields were sold off piecemeal and gradually built on. So urban roads often follow old hedgelines. And, as fragments of forest, hedges are also reminders of the wildwood which grew here before we created the modern landscape. For every freestanding tree on these islands, there are many more that make up the hedges of town and country. So while hedges are only one element of the natural world around us, they carry a significant amount of information about our relationship with nature. Little lad, little lad, Where wast thou born? Where they sup sour milk, From a ram’s horn. 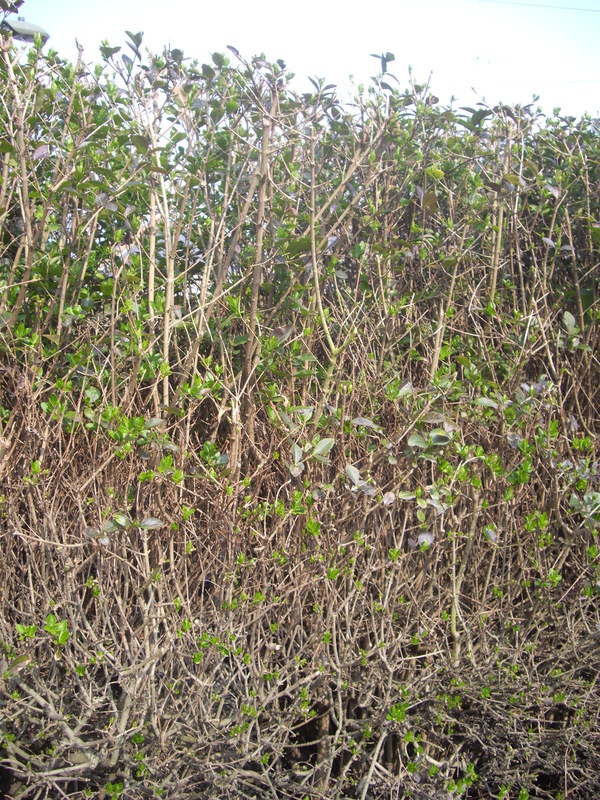 It’s always risky to try and guess what nursery rhymes “mean” – however the “thorn” here may well be a hedge – being “born under a hedge” or “hedgeborn” traditionally meant a humble background. This rhyme might be related to the fact that, in the middle ages, the saying “Horne and Thorne shall make England forlorne” was used to refer to the sheep and hedges that were invading the landscape because of new enclosures (inspired by the thriving wool industry) – the result was a lot of common people losing their homes and livelihoods, and being forced to move “far off” to the new towns and cities. I think this is a cherry laurel. It’s an evergreen, but you can see the fresh green of the new little leaves. 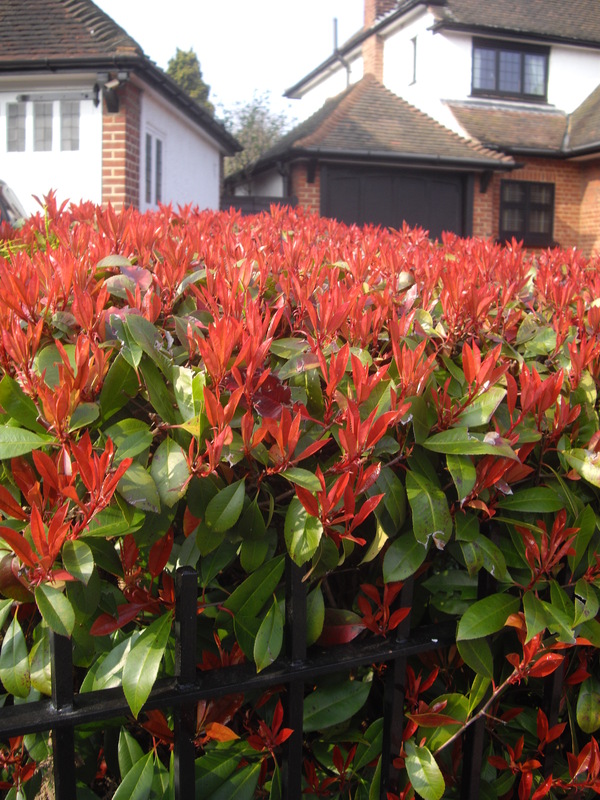 I think this is red-tip photinia, though feel free to correct me. Either way, it’s a lovely spring hedge species as the new leaves are bright red, and as striking as any blossom, flower or berry. And my miniature box, still pretty small but some promising new growth. John William Streets died on 1st July in the Battle of the Somme. In the period before his death he wrote some memorable poems, frequently contrasting the hell of war with the beauty of nature. In this poem he describes a hedge on the battlefield. Wither’d thy full expanding life-leaving thy spring to die. And the primrose starr’d the May with loveliness divine. And the lark sprang mad with love beyond the top of morn. The moths on silken wings stole down thy ways in flight. Thou remainest a ghost of thyself-a glory alas! now forlorn. 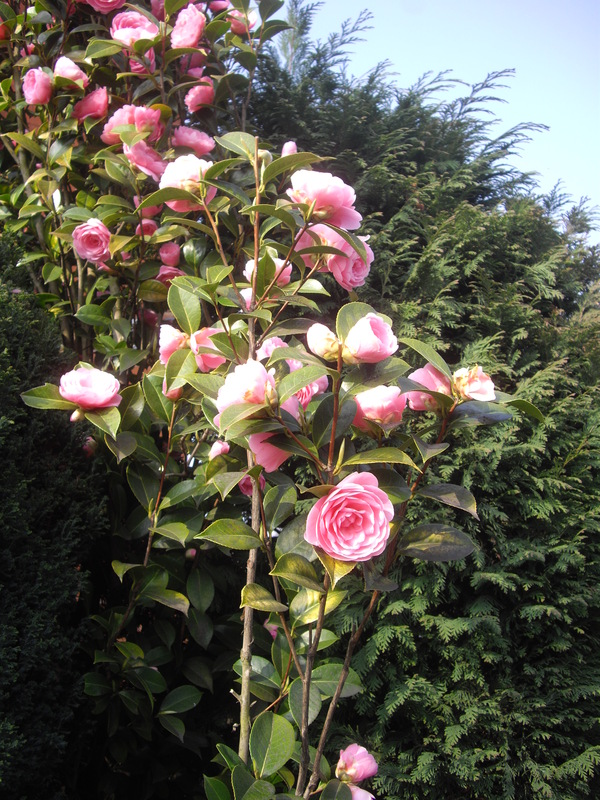 Bold, enduring, grand, with flowers on thy scorch’d brow. Like thee will project their life beyond the phase of Death. There’s an interesting article here http://tinyurl.com/6ay4c3o on experiments in America with flowering hedgerows, which are designed to encourage pollinating insects. 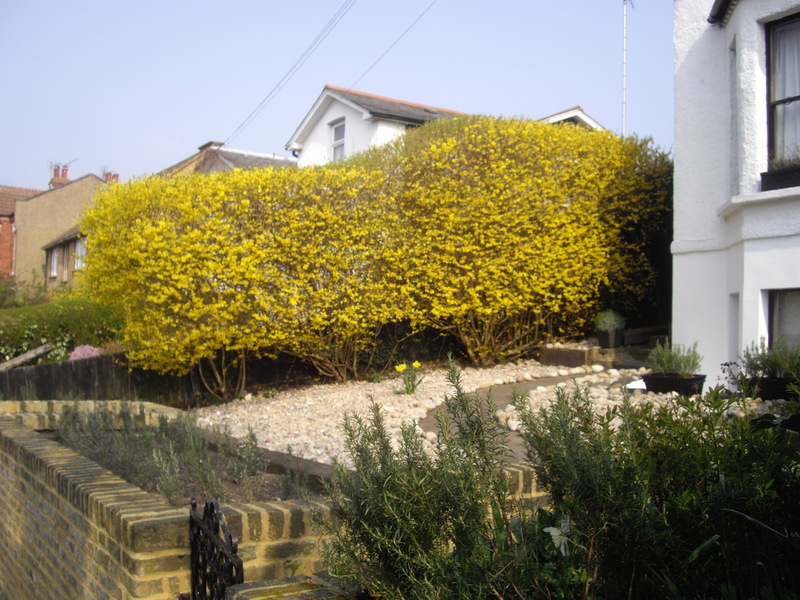 In this case the hedgerows are areas left to grow a little wild, with flowers for the insects – rather different to a typical British hedgerow, which is made up of trees and woody shrubs. 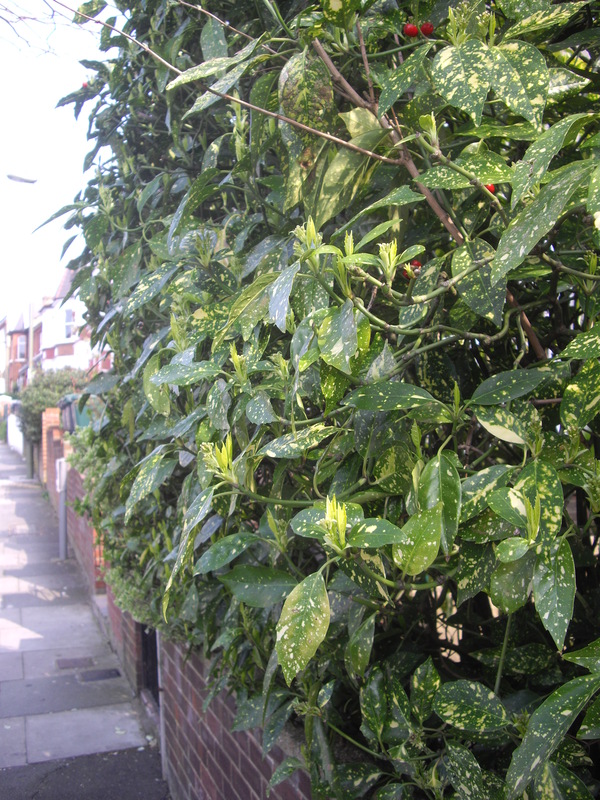 However British hedges play a similar role – insects are encouraged both by the trees and the plant species and flowers that grow in the base of the hedge and along the hedge margins. To encourage populations of bees in particular and insects in general it is a good idea for farmers to leave a fairly wide hedge margin rather than ploughing right up to the hedge. 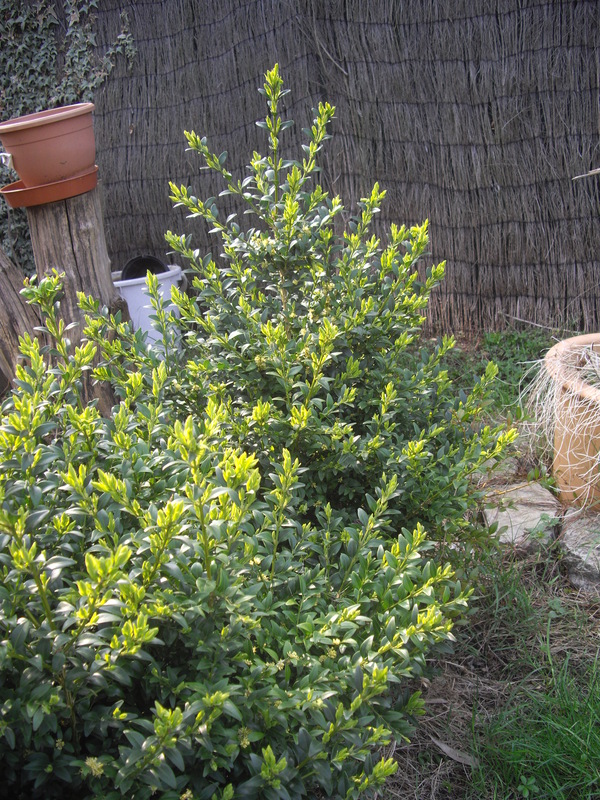 This also encourages birds and other small mammals as it gives them a habitat in which to feed or live. And finally predators such as hawks and bats are also thus encouraged, so the positive effect of hedges goes all the way back up the food chain. A couple of quotes from the wonderful I Capture the Castle: one mentions hedges, the second doesn’t but I’ll include it anyway because it’s rather lovely.